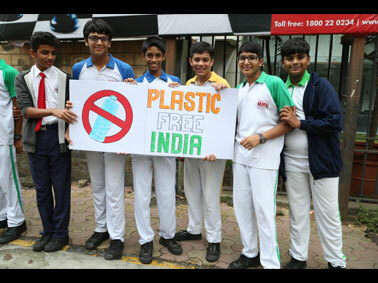 ‘Plastic Free India’ was the World Environment Day theme for the year 2018. This was an awakening call for the individuals to take charge of their surroundings and realize the perils of usage of Plastic materials in their daily lives. It was mainly to depict that the individuals cooperation be reciprocated to protect the environment from disaster. 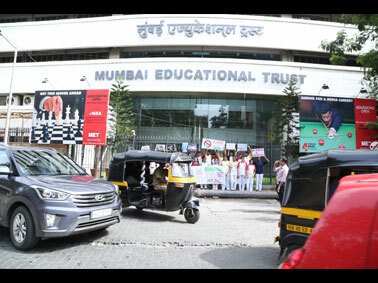 Keeping this in view, MRV students lent support to this noble cause. 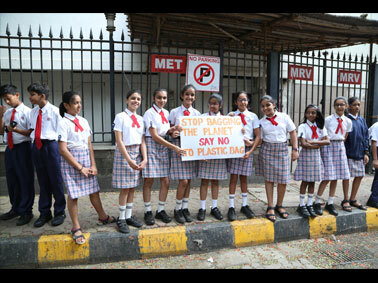 Students from Grades VI to X volunteered in this event, performing as Combatants, lined up outside the MET premises holding placards with messages and slogans stating ‘Banning Plastic’. 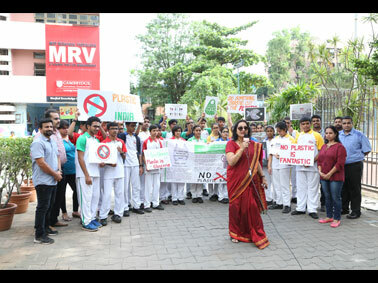 Young students attempted to sensitize the spectators and created awareness regarding the health hazards on the ecosystem. 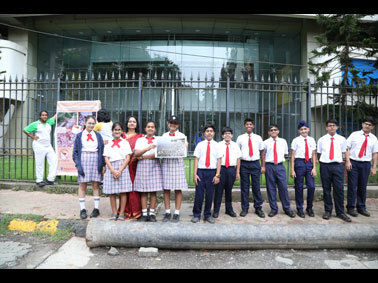 A documentary film on Plastic usage and its effects was shown to the students followed by poem and speech. At MRV, we believe ‘Practice what we preach’. 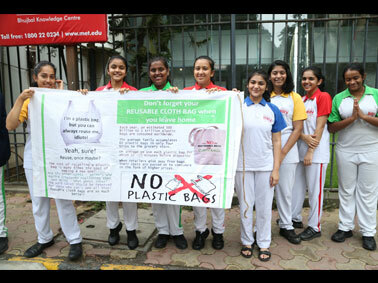 We have advised our students and teachers to utilize cloth bags as far as possible. Hence, this activity was performed to inculcate the Go Green Value - Beat Plastic Pollution in our students, teachers and parents.